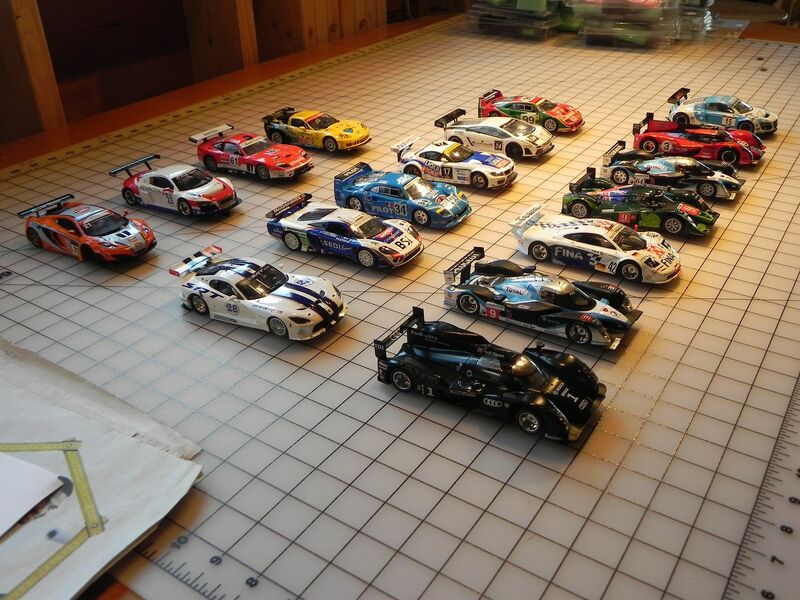 The RAA cars showed up today; sent by Paul after the conclusion of Round #5 and my vacation. I have the CanAm cars that arrived earlier still to run. The plan now is to run the CanAm cars on the 22nd, then the RAA cars on November 5th. The 29th is taken up with an Enduro race with the Shoreline team in CT. After that, the Pony Wars cars are on their way from Monte and after that the La Carrera Panamericana-2 cars will be arriving. So, The River Run will be a busy track over the next 5-6 weeks. I'll post updates as we get closer to the 5th. Last edited by Audi1; 10-12-2016, 08:19 AM. RAA cars on November 5th, I will plan on coming down. Sounds good, Austin. Dickie's coming down on the 22nd to run the CanAm cars. We ran the last Round of the CanAm proxy last Saturday, so we're set to run the next Round of the RAA proxy, as planned, on November 5th. Bob Bianchi from SCC came down today and ran the qualification for the RAA cars. Each car got it's braid adjusted to suit the recessed braid on the track, then 10 laps to get the driver and the car synched in, followed by a 10 lap run for fastest time. Saturday's race will be run by class, starting with GT-2 and finishing up with P. The running order in each class will be the reverse of the quali results; fastest car runs last. 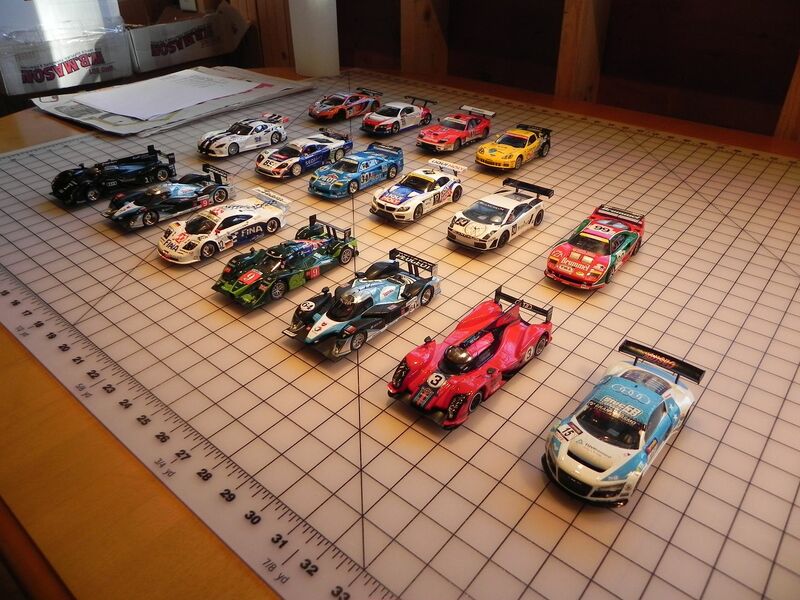 Great pictures Allan, I always think the RAA fields the best looking bunch of proxy cars. I think it's great that Austin always sends along a crap car, just to make the rest of us feel that much better. What a guy! O is that what I do. Just like my cars in the Can-am proxy . Good luck to everyone today!!!! I just got back from the River Run. That track is so nice WOW. I really loved driving the Viper, What a nice smooth running car. It wasn't the fastest but the funnest car for me. Last edited by Austin; 11-05-2016, 12:31 PM. I really loved driving the Viper, What a nice smooth running car. It wasn't the fastest but the funnest. It is a little under motored. Race #6 is in the books. It had to happen sooner or later and this was the day - a "GT" day. Have a look, you'll see what I mean. We ran the cars at 10V on The River Run. 3 minute heats with the same drivers staying in their lanes for all heats. The track is 65" average lane length, routed wood with recessed braids and is more of a technical track than a straight line speed track. It's a track that rewards cars that handle the turns well. Austin came down from New Hampshire to drive, as did Jeff (dge467). We had a guide wire pull out of one of the car, but got it repaired and got the car running again. So, there you have it. A GT-1 day here at the River Run. Congrats to Oscar Racing on a horizon job win in his BMW! 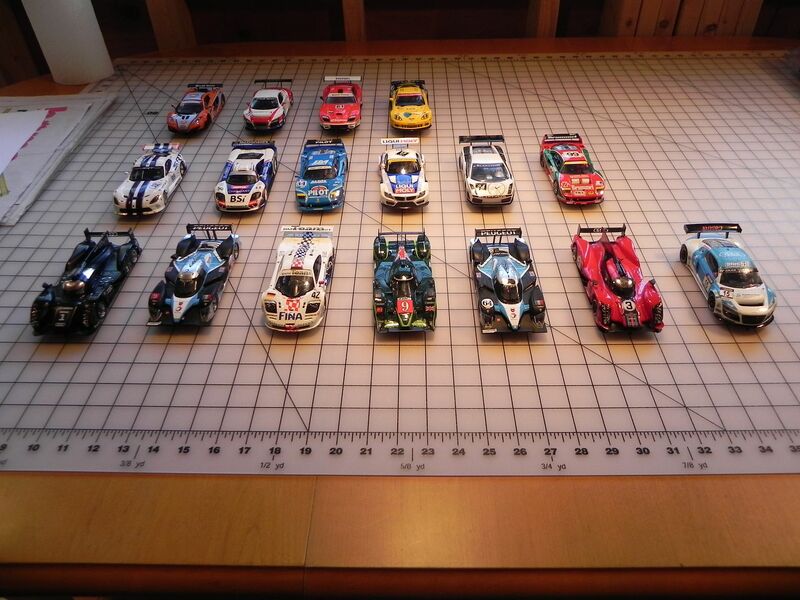 I'll get the cars boxed up and ready to ship to the next track early next week. A big thanks to Austin and Jeff! Last edited by Audi1; 11-05-2016, 01:11 PM. And a big tip of the hat to that pesky #23 GT-2 car.